Imagine walking down the grocery store aisle looking for snack options for your kids. Boxes with colorful characters vie for your attention. Words like “natural,” “good source of fiber,” and “fortified with vitamins and minerals” lure you to buy their particular product. What do you believe? Which one do you buy? Let’s look at some basic guidelines to help you see past the commercials on the front boxes of products and find the facts. Some of the most nutritious snacks available do not come in a package. The most nutrient-dense foods are fruits, vegetables, nuts, beans, legumes, and whole grains. You won’t find a Nutrition Fact label on an apple or bunch of broccoli. Yet, these are examples of healthful foods that God has perfectly packaged. They contain a wide array of vitamins, minerals, enzymes, and antioxidants, which are essential in providing us with good nutrition. Antioxidants from fruits and vegetables protect our cells from oxidative stress, a by-product of our metabolism, which can cause damage to our cells. When looking for a prepackaged snack, the first place I look is the Nutrition Facts label. A healthful snack has two friends, fiber and protein. Smart carbohydrates have ample fiber which provides steady energy. Look for snacks that have at least 3 grams/fiber per serving. Protein builds, maintains, and replaces the tissues in your body. It also builds up your muscles, organs, and glands, among other health benefits. Choosing snacks that provide a balance of fiber and protein will ensure adequate energy for your active student. Another important factor to consider when selecting snacks is the amount of sugar it contains. Sugar has a negative impact on our health, particularly in the way it suppresses our immune system. Experts say that children should not consume more than 32 grams/day of sugar. Check the label and investigate how much sugar a product contains. Pay attention to the serving size. Sometimes packaged snacks contain more than one serving. Also, be aware of foods that are low-fat or non-fat; they often compensate for the lack of flavor by adding more sugar. Look for words like “whole grain” and ingredients that you can pronounce. This will ensure a quality snack selection that contains natural ingredients and is substantive. Do not assume just because the label touts “healthful” that it is. Encourage your family to be label detectives. Together you can find snacks that are healthful and delicious! Mrs. Michele Pechacek has taught Nutrition and Wellness and CCS since 2008. She and her husband, John, are the proud parents of three CCS alumni. She holds an Associate of Science degree from North Dakota State College of Science in Dental Hygiene. 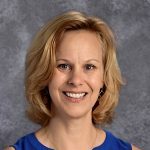 In her spare time, Mrs. Pechacek enjoys healthy cooking, outdoor activities such as kayaking and hiking, and arts and crafts.